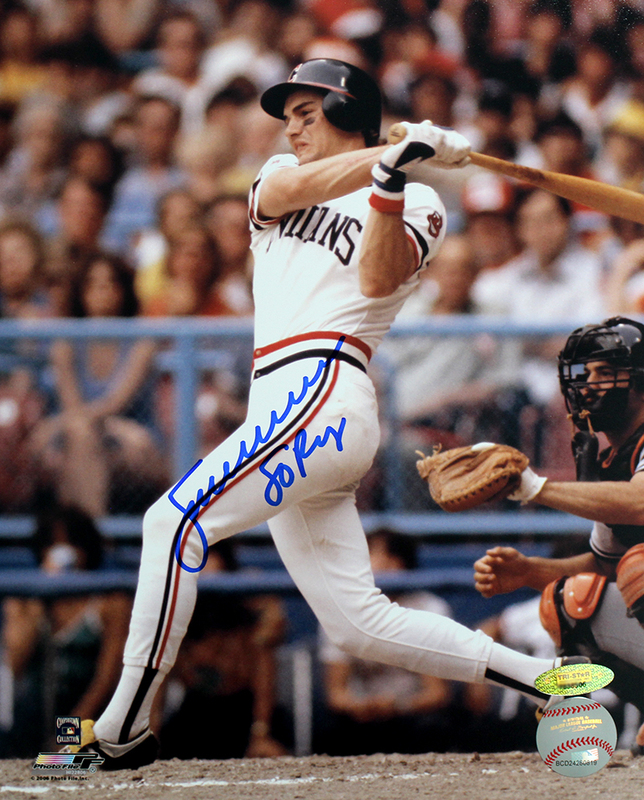 These Cleveland Indians 8x10 photos have been personally hand signed and inscribed "80 AL ROY" by Joe Charboneau. Each autographed photo includes an individually numbered, tamper-evident TRISTAR Authentic hologram, which can be verified online at www.tristarauthentic.com. Rowdy Joe Charboneau was truly a character during his 3 year Major League career. Highlighted by winning the 1980 Rookie of the Year award, Joe is suprisingly most famous for his antics, including his tendency to dye his hair unnatural colors, open beer bottles with his eye socket, and drink beer with a straw through his nose.